The Bridge is a 2D logic puzzle game that forces the player to reevaluate their preconceptions of physics and perspective. It is Isaac Newton meets M.C. Escher. Manipulate gravity to redefine the ceiling as the floor while venturing through impossible architectures. Explore increasingly difficult worlds, each uniquely detailed and designed to leave the player with a pronounced sense of intellectual accomplishment. The Bridge exemplifies games as an art form, with beautifully hand-drawn art in the style of a black-and-white lithograph. The Bridge was my first major commercial game release. I started the XNA game development in August 2010 as a graduate student at CWRU, teaming up with artist Mario Castaneda while in school. We continued development post-graduation, receiving and/or nominated for several renowned awards over the next two years. After an incredibly successful Steam launch, The Bridge received tremendous critical reception and was featured on hundreds of gaming websites, blogs, and YouTube channels. We teamed up with publisher Midnight City for the Xbox Live Arcade release in November 2013, and I have since self-published to Xbox One, PlayStation 3/4/Vita, and Wii U in August 2015. Tumblestone is my second major independent project. It was started in 2013 with The Bridge's artist, Mario, in addition to Alex Schearer and Justin Nafziger, who I've worked with in the past on various Game Jams. Tumblestone launched July 2016 on Steam, Xbox One, PlayStation 4, and Wii U, with over one million downloads within the first month. The mobile and Switch versions launched summer 2017. DualJoy is an experiemental rhythmic bullet-hell. Use each thumbstick to independently guide two cursors away from an onslaught of tempo-mapped bullet patterns. Each 60-second stage features music from a different game composer, in addition to featuring a completely different visual aesthetic and bullet pattern design. DualJoy is my third major independent project, which I am creating solo except for the audio. It will be released to Steam/Switch/Xbox One/PS4 in 2018. I created a small game while traveling the 52-hour train from Chicago to San Francisco, passing by some of the most gorgeous scenery I've ever seen. 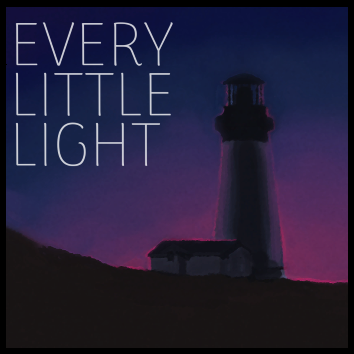 Every Little Light is a grid-based puzzle game that leverages the puzzle generation technology that I've been working on for years, framed with beautiful artwork and a lovely story about a firefly finding its way to illuminate a lighthouse. The theme of the jam was "odyssey". Every Little Light was created as a part of the 2018 Train Jam, and it was shown at the expo hall of GDC. HAPP-Z is a comedy platformer dating sim where your goal is to infect your fellow party guests with the happiness STD, HAPP-Z. This was created as a part of the 2018 Global Game Jam, where the theme was "transmission". I created Worditude for the "Zero Hour Game Jam", where developers try to create a game in the one-hour window between 2:00am and 2:00am when daylight savings time rolls back. During that one hour, I had the basic game logic implemented, although I spend another two hours immediately afterwards polishing the game and filling it with content. 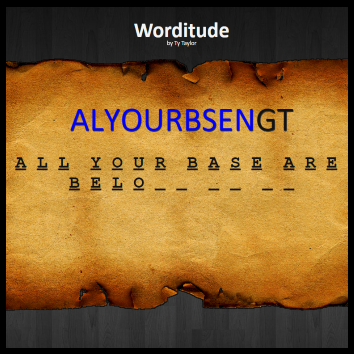 Worditude is the first word-based game that I've ever made. 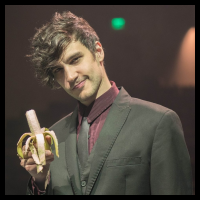 Crush 3 was developed simultaneously for two 48-hour game jams — the Bacon Game Jam (theme: Rainbow) and the Seattle-based HOGJam (theme: Persevere). The game can be described as a cross between Bejeweled, Tetris, and everything you've ever loved. You need to be warned now: Crush 3 is like a potato chip. Once you take a bite, you won't be able to stop until you've thrown your controller into your monitor in beautiful frustration. Play with a friend if you don't really like that friend and don't want them to be your friend anymore! 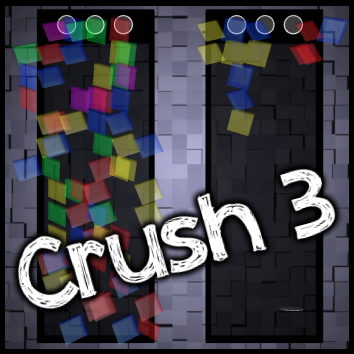 Crush 3 was the inspiration that lead to Tumblestone. The gameplay mechanic: the colored obstacles don't spawn randomly. The "target" indicator you see is where they next obstacle will spawn in the next wave, and all obstacles will spawn at the same position and time (relative to the start of the wave) forever. 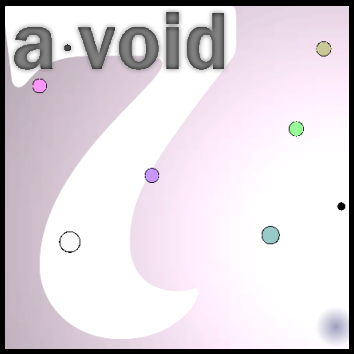 a.void was created in 48 hours for Ludum Dare 26. Out of 2,346 entries, a.void ranked #10 in audio, #75 overall, and #77 in fun. 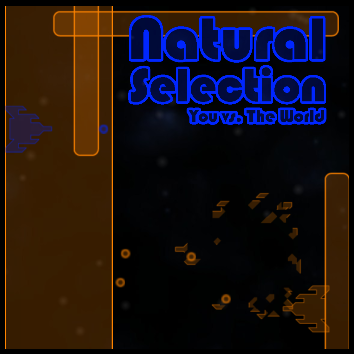 Natural Selection: You vs. The World is a side-scrolling space shooter with a twist. Rather than fighting through waves of AI-based enemies, you literally battle against everyone who has ever played the game before you. The enemies that you face are exact replays of human players, creating some great emergent gameplay mechanics and difficulty progression. 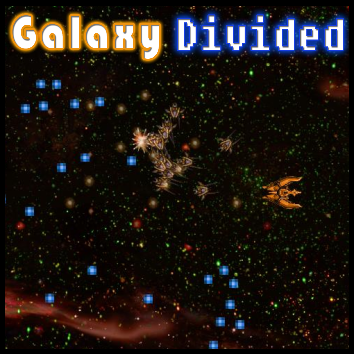 Galaxy Divided was created in 48 hours for a DigiPen hosted game jam. The theme was "Change of Plans", so we created a twin-stick space shooter/bullet hell where two teams of ships (8-bit blue and high-res orange) are constantly fighting. The player is able to (and occasionally forced to) change between the blue team and the orange team, making allies only to kill them moments later. 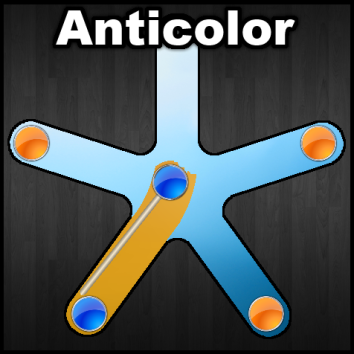 Anticolor is a puzzle game about making opposite-colored orbs work in unity. Orbs can only exist in their opposite-color space, and they leave a wake of their own color behind them that allows the passage of orbs of the opposite color. Anticolor was created in 48 hours for Ludum Dare 23. No, this isn't a political game. 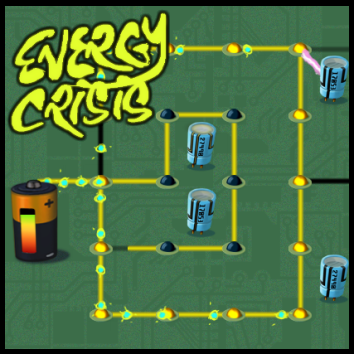 Energy Crisis is a very short game that I designed, and it was created with friends in only 48 hours for the 2012 Global Game Jam. It's a puzzle game that pretends to be a tower-defense. The objective is to maximize the path area around the towers on the map, all-the-while balancing the cutting and placing of paths to make sure you don't leak any "sparks". The difficulty ramps up pretty quickly, but hey, it was a 48-hour game. 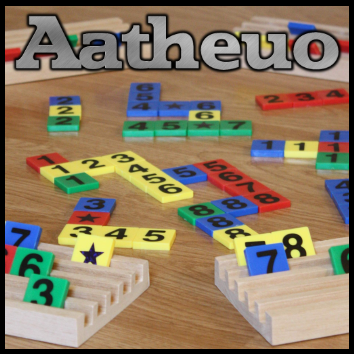 Aatheuo (pronounced like "off-uh-you") is a tabletop game that was inspired from my love of Uno, Scrabble, and Rummy. 2 to 4 players take turns placing tiles from their hand onto the board, creating sequences and sets or three or more tiles. The unique beauty of Aatheuo comes from the spatial-reasoning involved in re-arranging the board in any way, as long as all of the basic properties of the sequences and sets are maintained. Aatheuo was chosen as an Official Selection in IndieCade 2012, in addition to being featured as a night game at IndieCade. There are no concrete plans for bulk physical manufacturing of Aatheuo sets, but a digital version is in pre-production. As a graduate student at Case, I was a Student Instructor and Teaching Assistant for two semesters for the Computer Game Design and Implementation course. For the last semester, I had the students' final projects be a part of my game-of-games framework used for Hypercube Arcade. 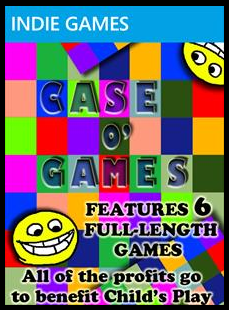 This became Case o' Games, which was released to the XBLIG marketplace. The game includes five games created by my students and one game, Colored Chalk, which I created. 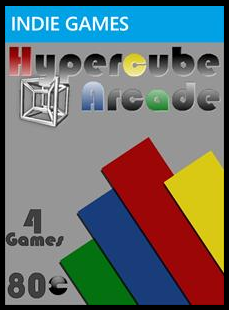 For my undergraduate senior project at Case, I created Hypercube Arcade for the XBLIG platform. Much like Mario Party or Fuzion Frenzy, this is a multiplayer game-of-games. It features four mini-games that I designed and created in addition to the overall game framework that I created for this game. Hypercube Arcade gives player the ability to play with friends locally on an Xbox 360, on system link, or over Xbox Live. The game also features advanced artificial intelligence for when there are no human opponents available. I've included Snake Death in my portfolio out of a sentimental nostalgia. 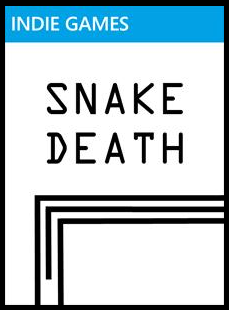 It was the first game that I created on a digital medium way back as a freshman in high school, and the reception to Snake Death was what inspired me to become a game designer. I created the game in a study hall in high school for the TI-83 calculator that all students were required to have, and after giving it to a few people via the TI-83-to-TI-83 transfer cable, it was not long before I found that most people as the school had the game. Snake Death also found its way onto TI-83 game sites, with fairly good ratings. Noticing people who I had never met before play my game in class and being stopped in the hallways to be asked how to beat a level were highlights of my high school career. If nothing other than to indulge my romantic appreciation of the game that started it all, I recreated it for the XBLIG platform, and it was my first release into a mass-market. It did better than I expected, receiving over 10,000 downloads. Not bad for a TI-83 game that I made as a high school freshman. 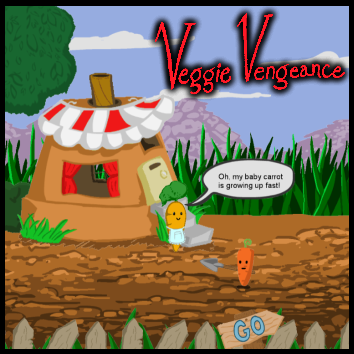 Veggie Vengeance was my first experience leading a large team (11 artists and 7 programmers) to create a game, which I worked on as a junior at CWRU. It is a 2.5-D beat-'em-up style game, similar to Castle Crashers, where the player controls vegetables to kill worms, rabbits, and spiders. In addition to being project lead, I handled most of the backend framework construction of this game, which was built on top of XNA, including creating the rendering system, multi-threaded level loading, screen management and user interface, basic physics interactions with dynamically-shaped animated characters, effects, and other miscellaneous game mechanics. Unfortunately, we did not finish in the single semester allotted for the class, and there was not enough interest among other group members, so the project had to be cancelled. Copyright © Ty Taylor 2018. All rights reserved.